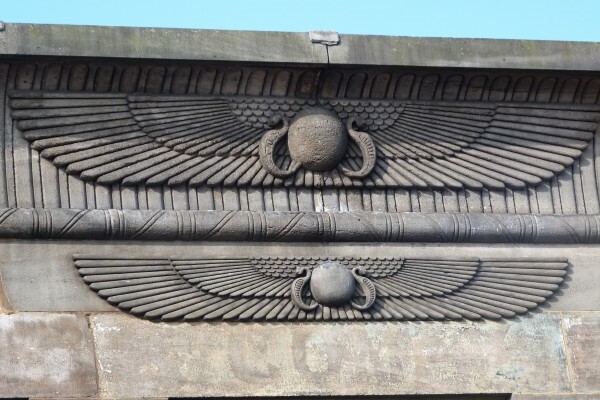 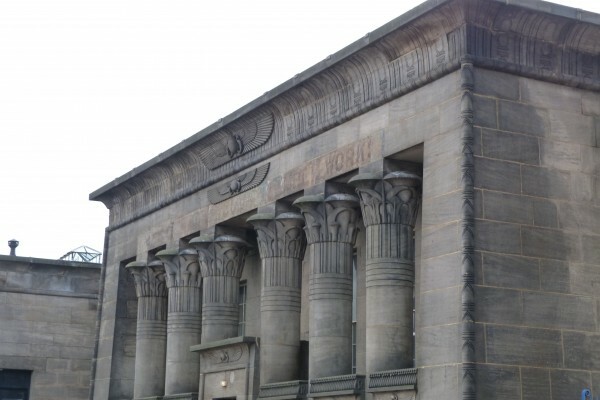 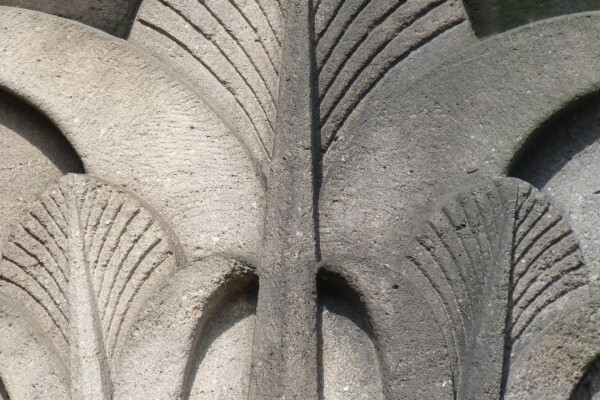 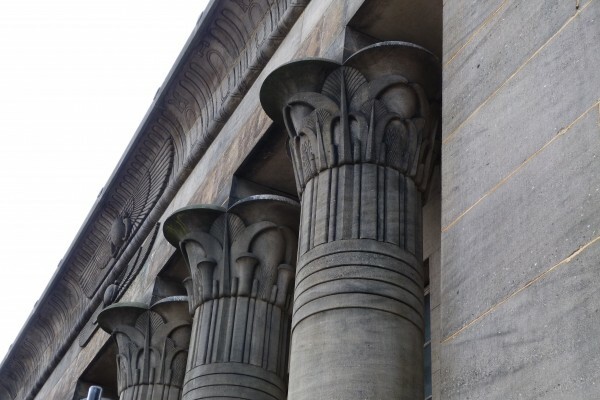 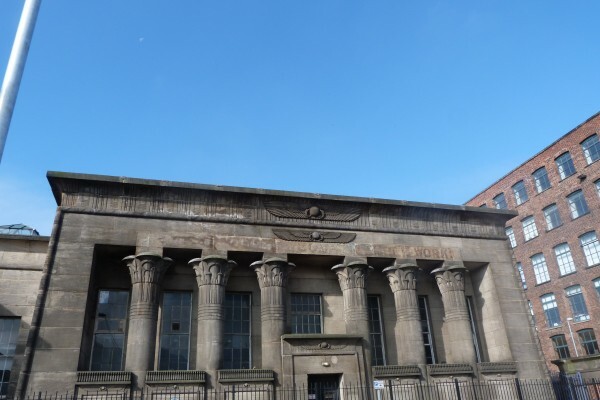 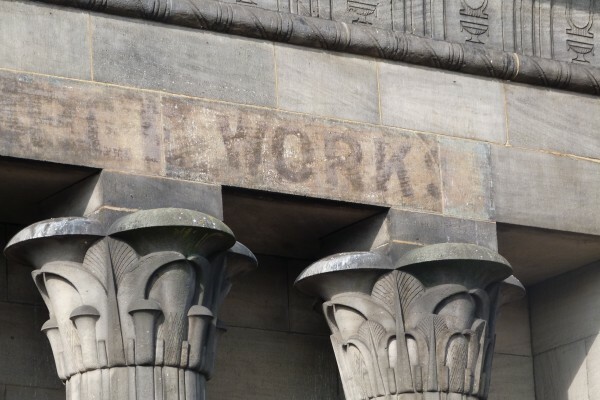 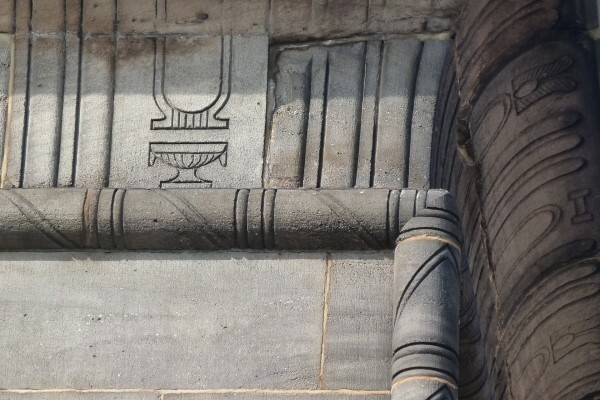 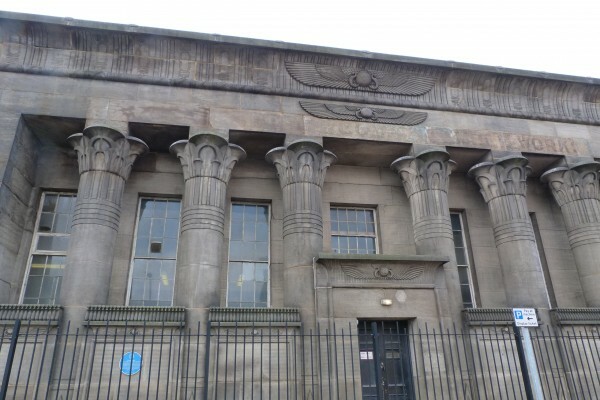 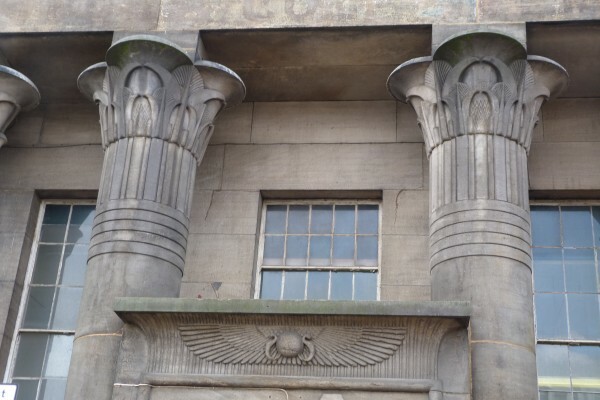 A flax mill modelled on Temple of Horus in Egypt! 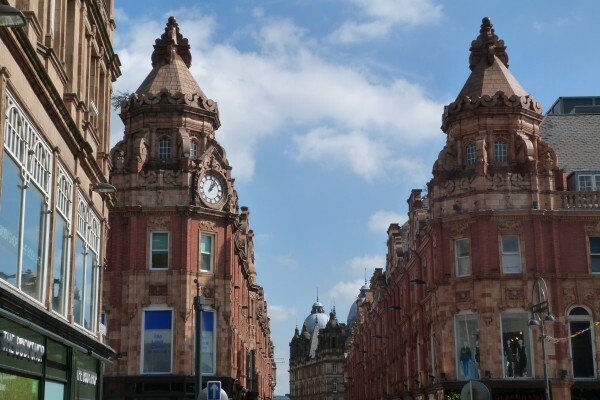 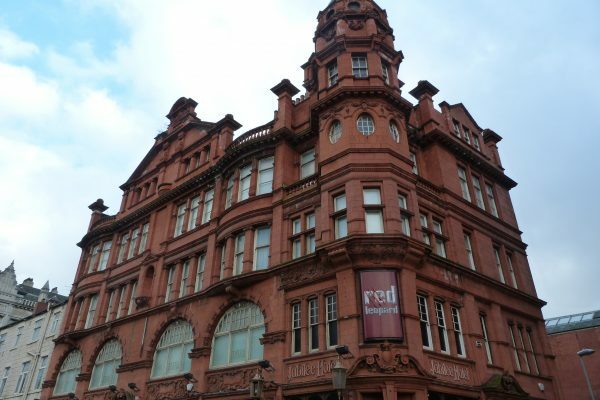 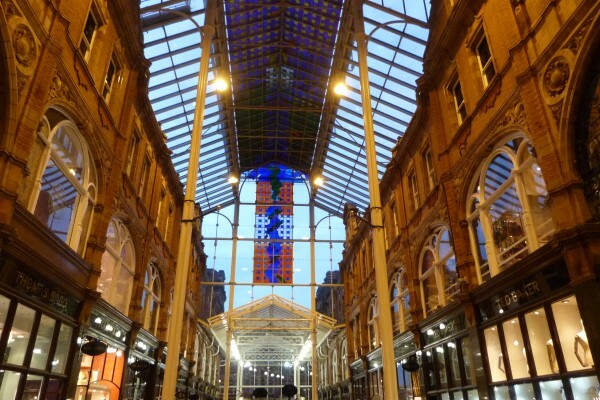 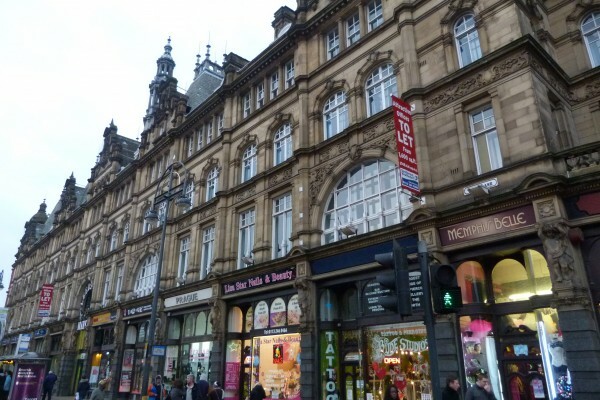 Leeds is a splendid Victorian city with a treasure trove of colourful flamboyant buildings dating from the late 19th and early 20th century. 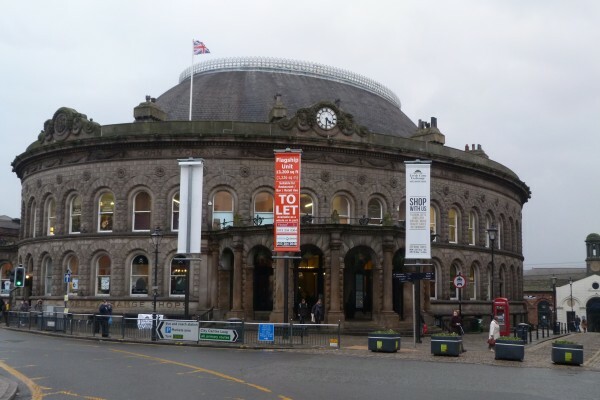 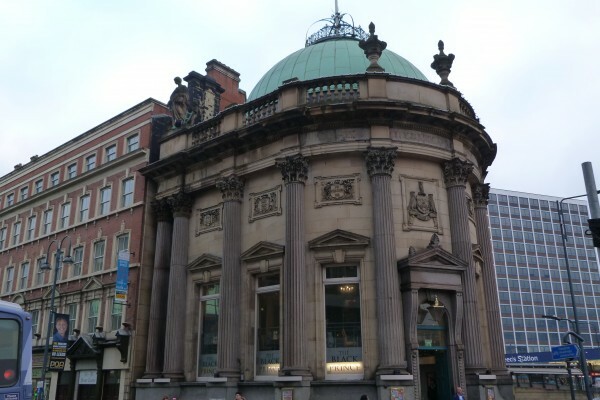 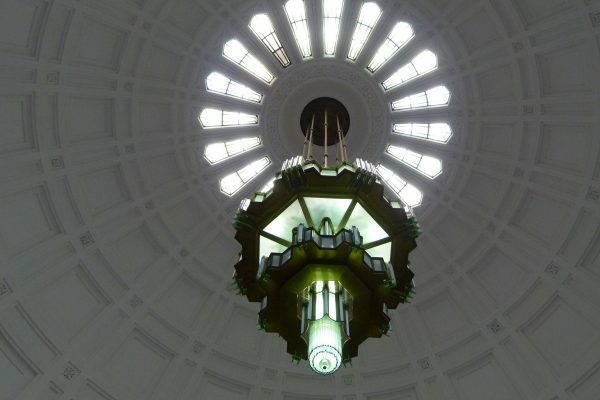 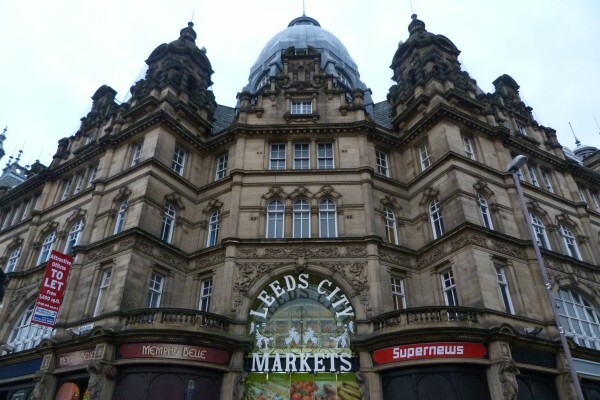 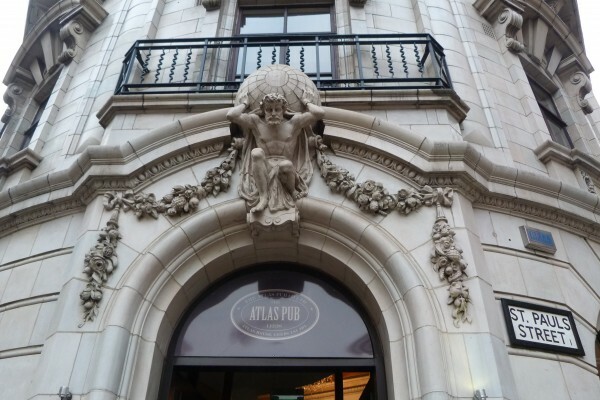 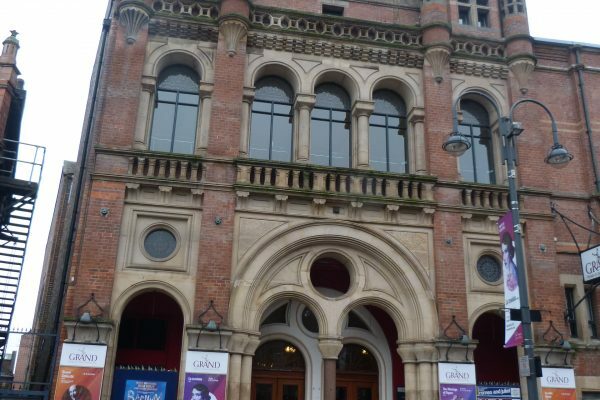 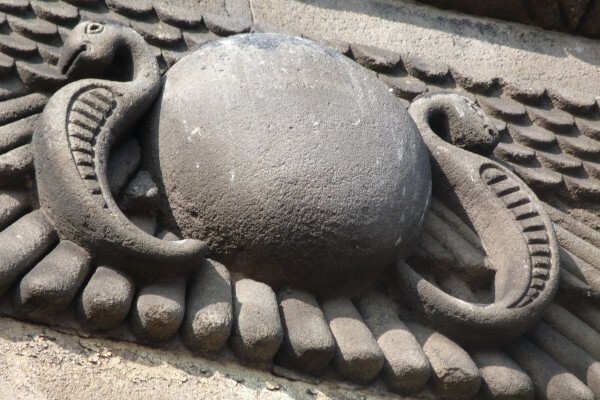 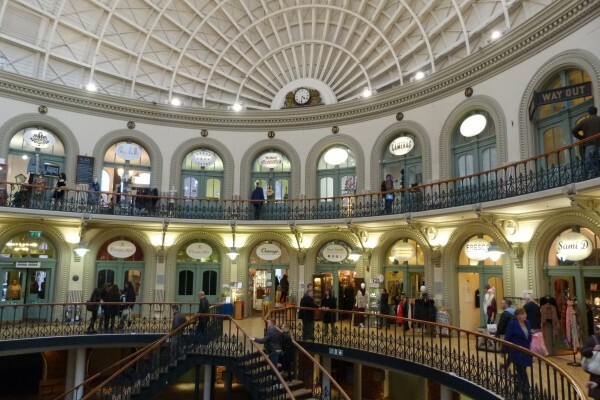 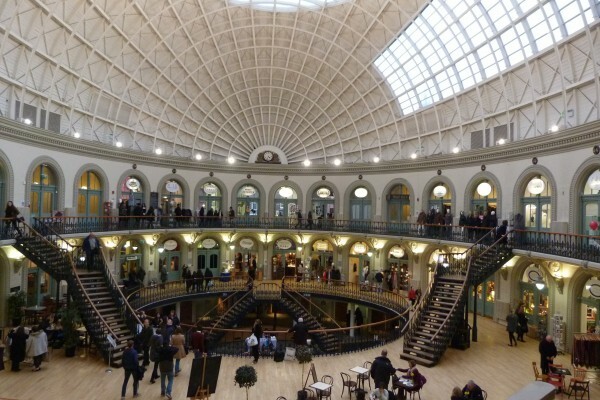 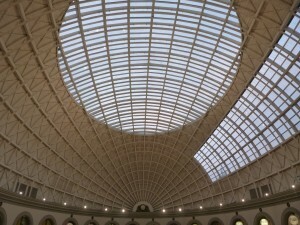 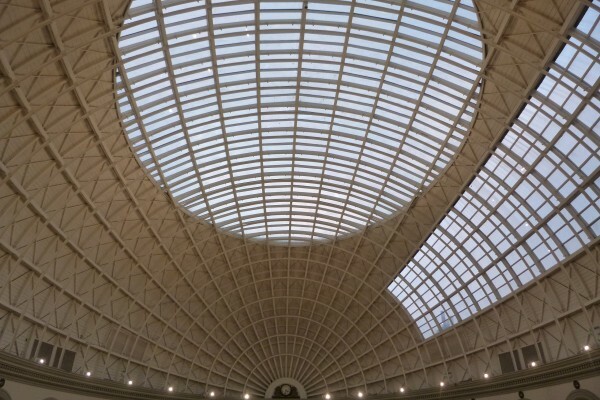 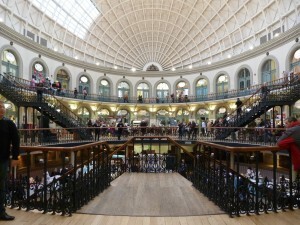 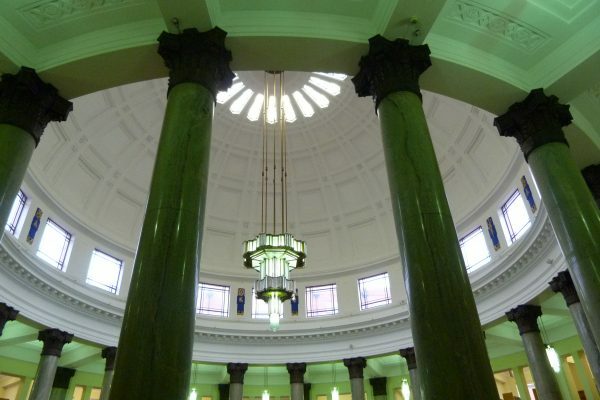 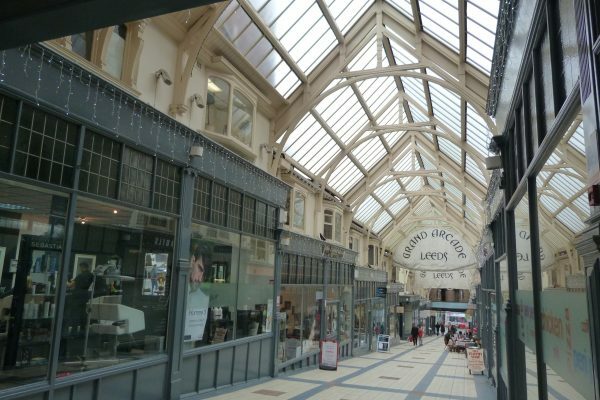 Architectural highlights include the Leeds Corn Exchange with its domed wooden roof resembling the hull of a boat, designed by Cuthbert Brodrick in 1864. 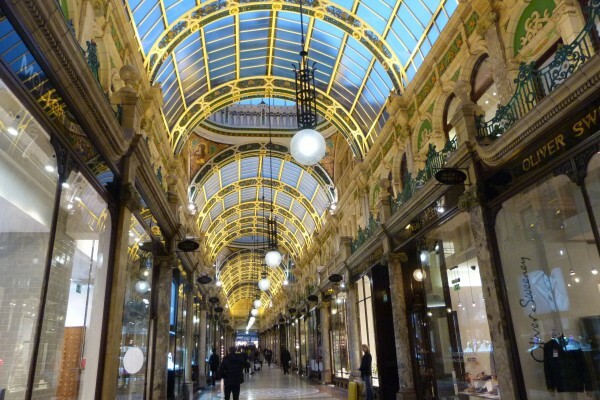 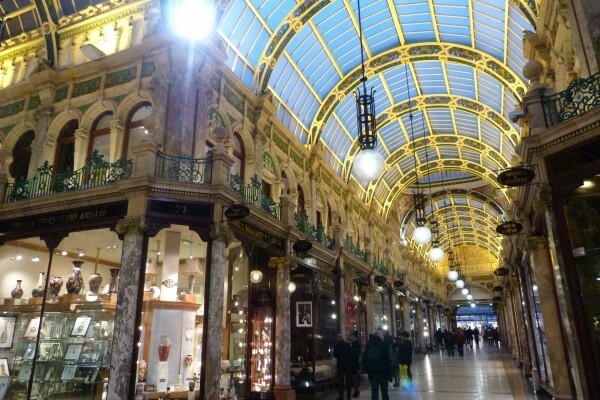 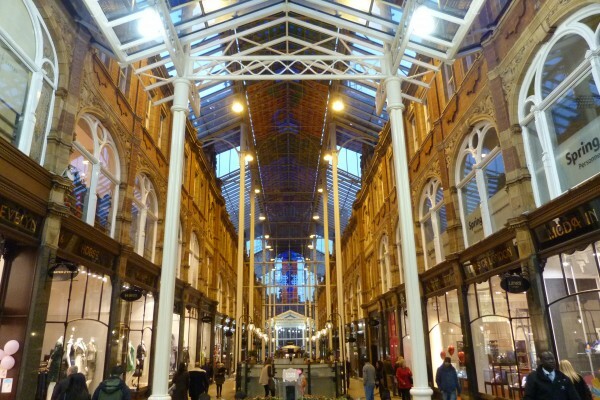 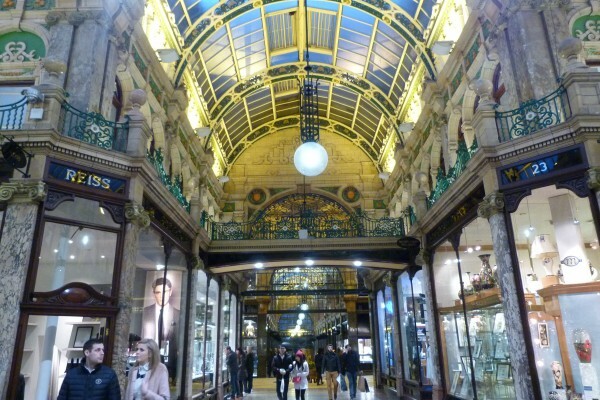 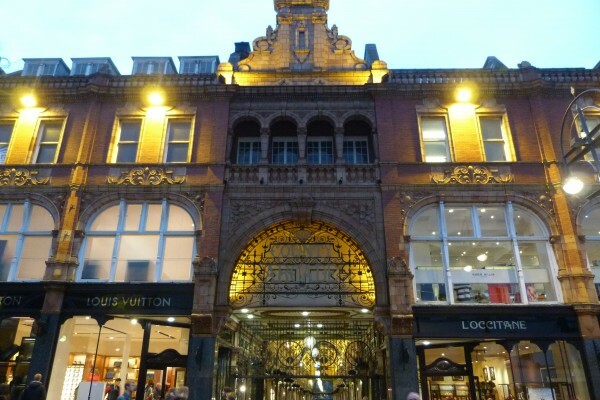 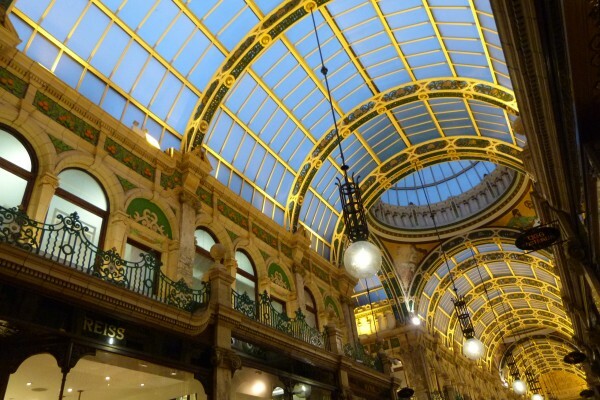 The stunning County Arcade designed by theatre architect Frank Matcham, built between 1898-1904, is one of several well-preserved Victorian shopping arcades in Leeds. 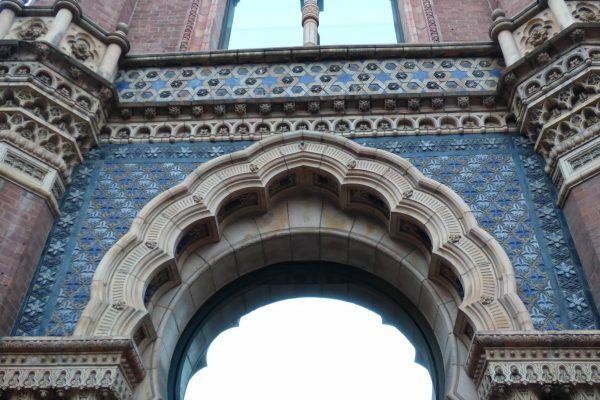 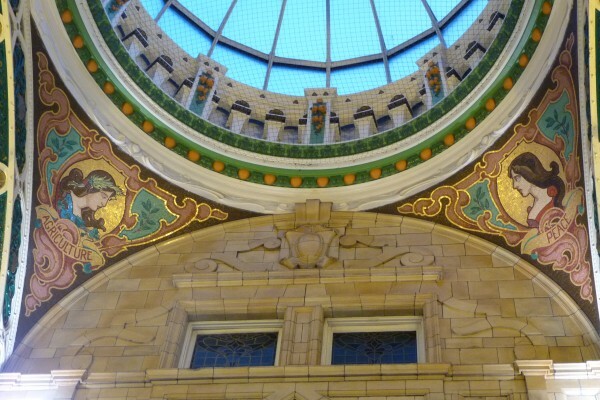 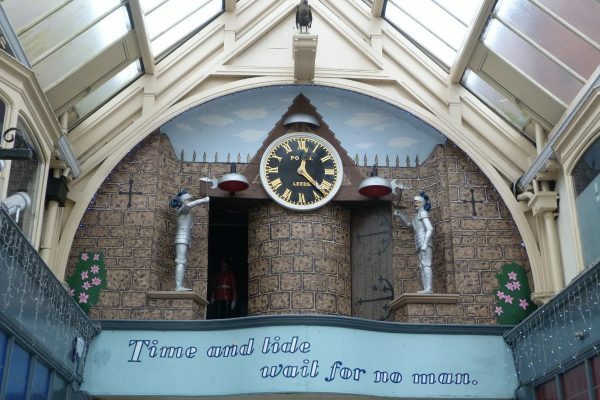 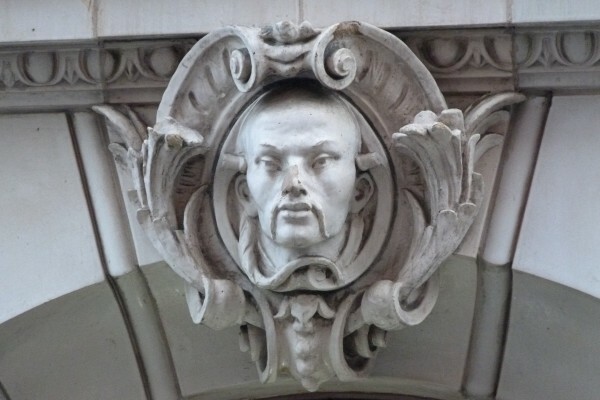 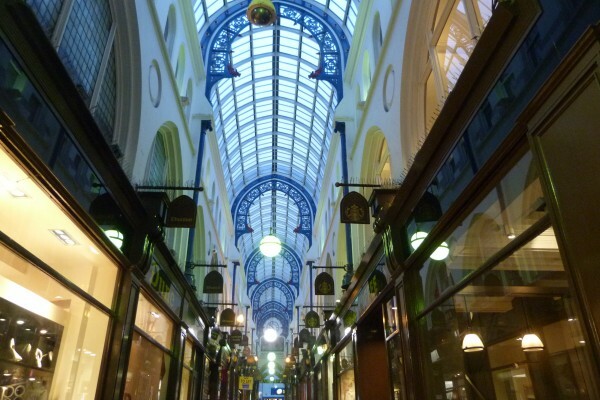 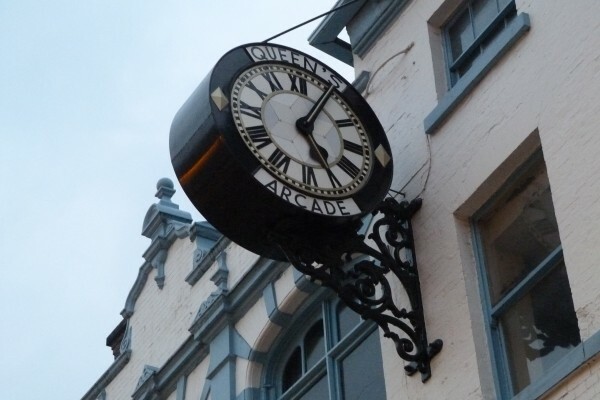 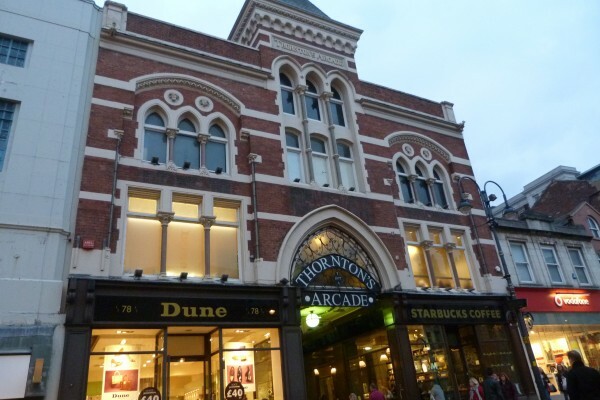 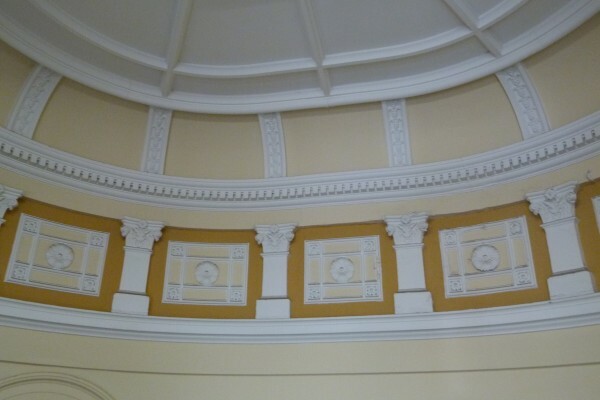 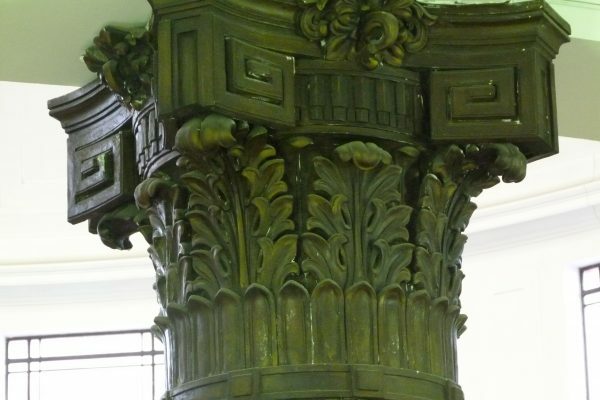 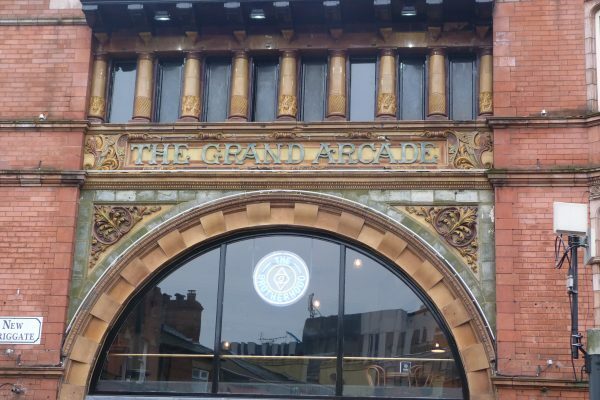 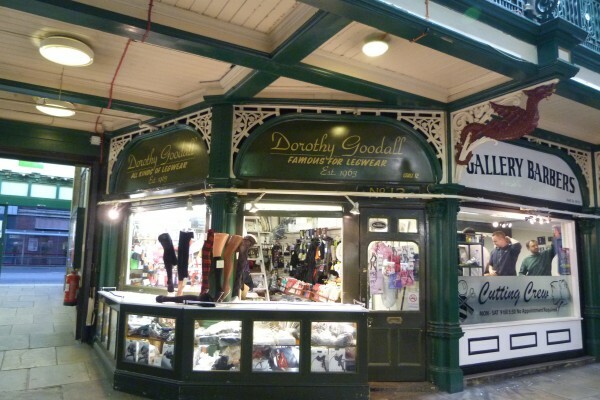 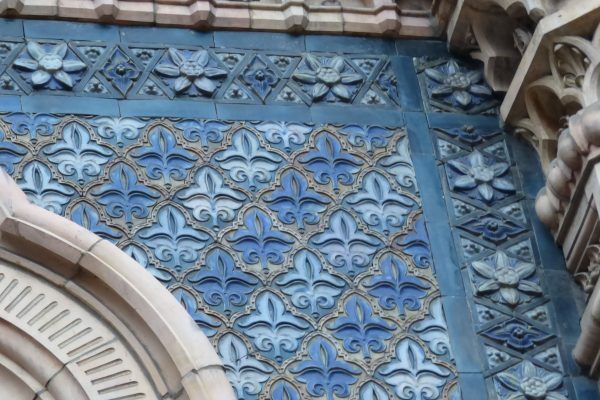 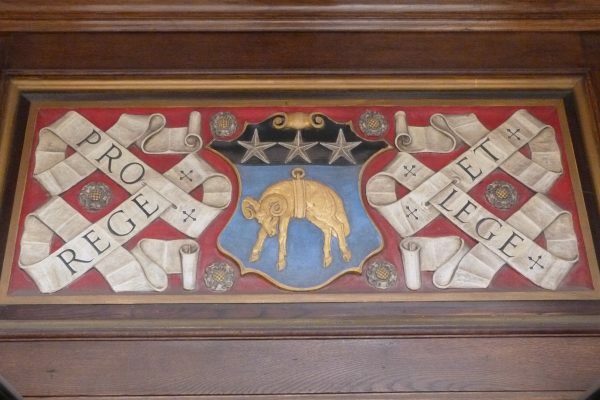 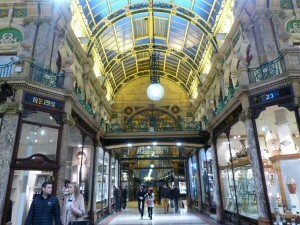 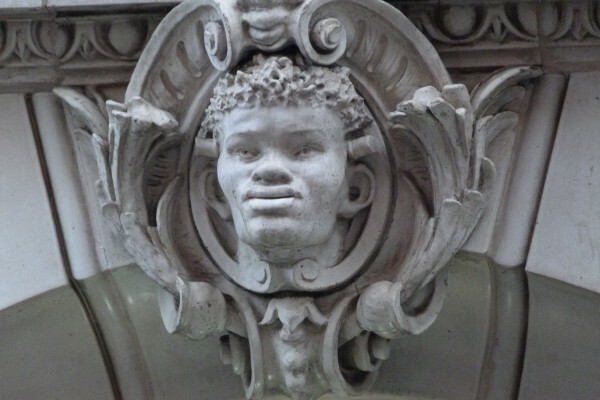 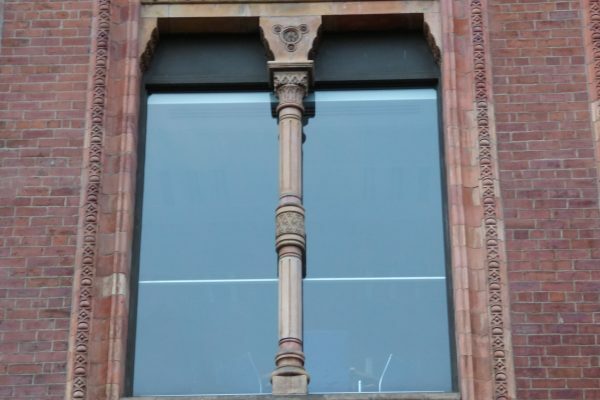 The glazed faience decoration that adorns the interior of this arcade was made by the local firm of Burmantofts. 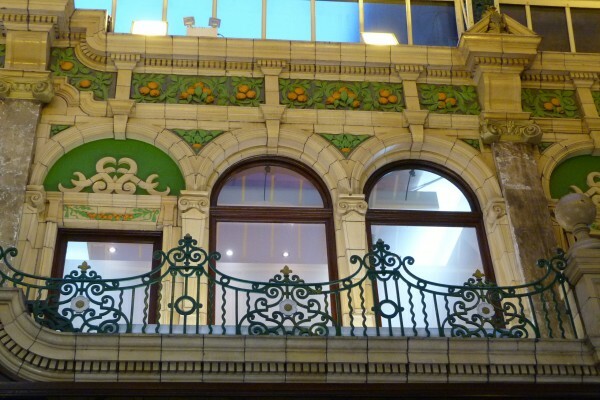 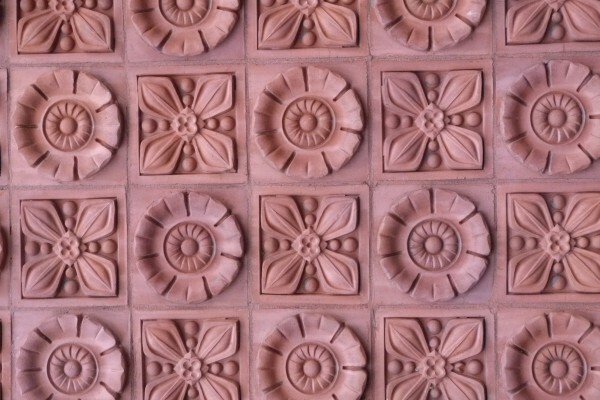 The terracotta cladding on the facade of nearby Leeds City Market on Kirkgate is also very spectacular. 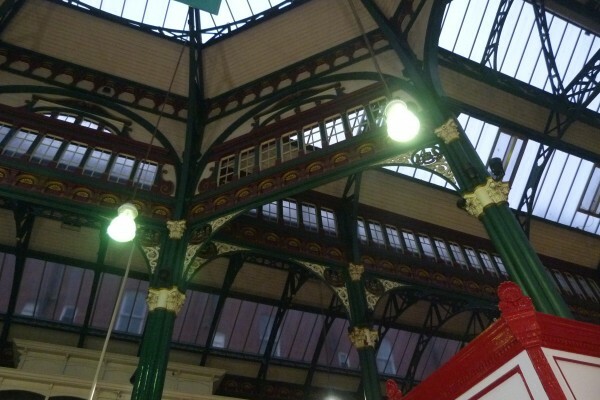 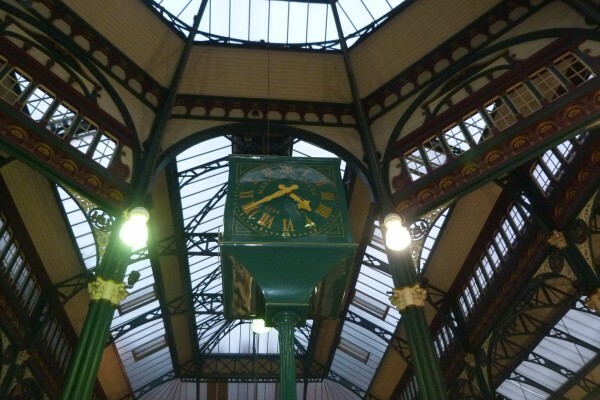 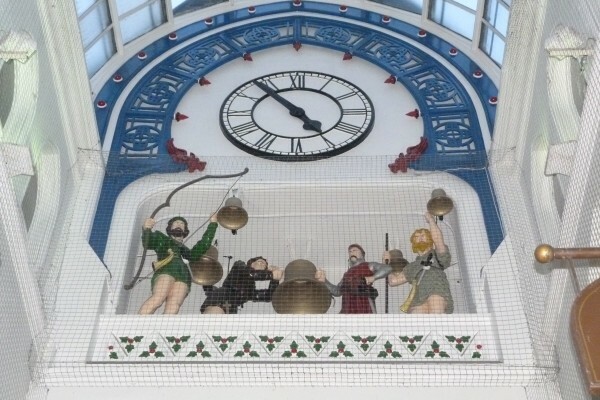 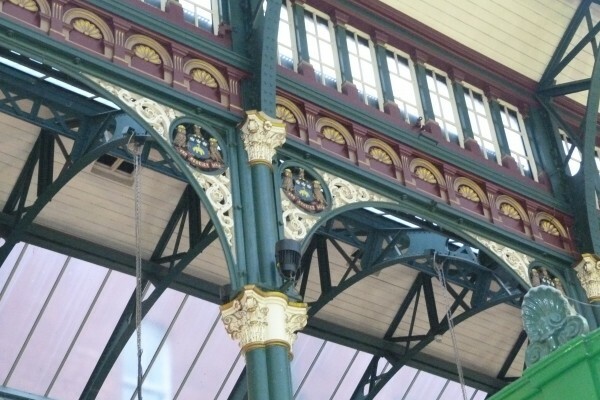 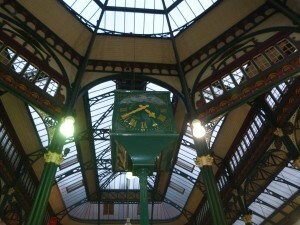 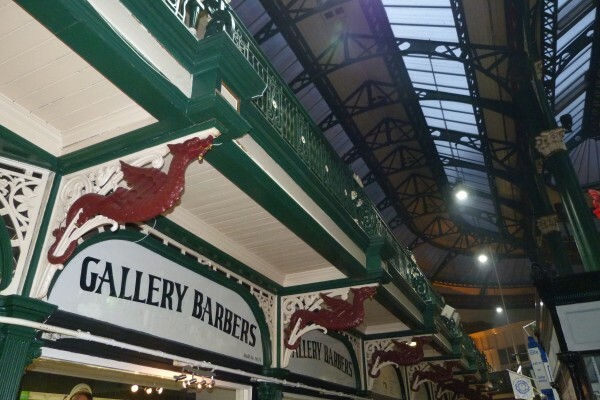 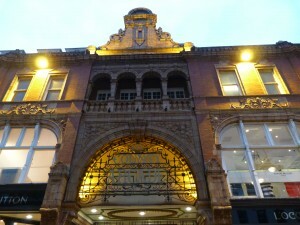 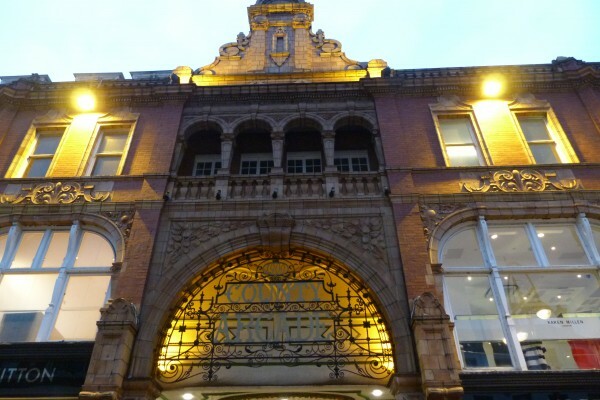 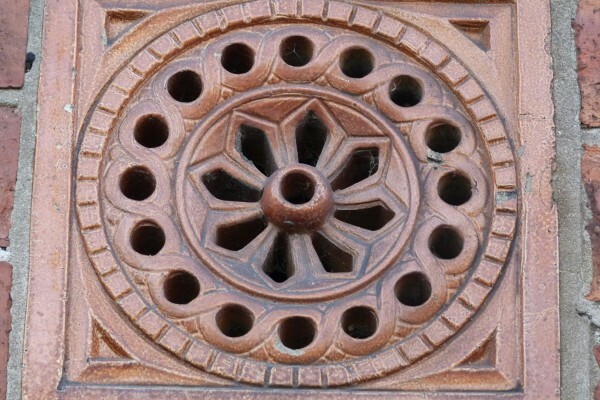 Designed by Joseph and John Leeming in 1904, the market hall’s cast-iron structure is painted in polychrome. 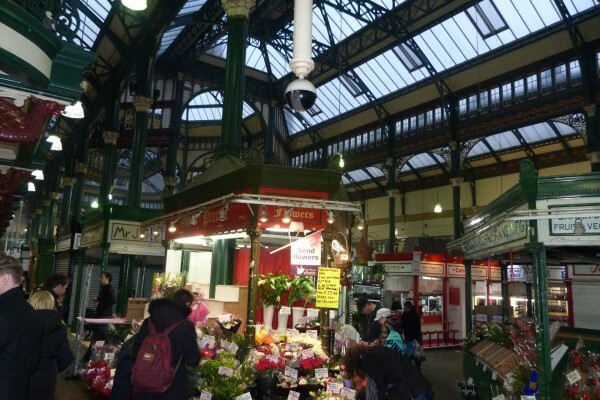 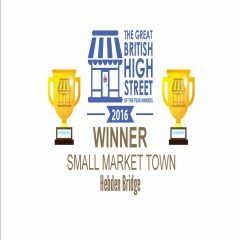 The market itself is one of the most vibrant in the UK. 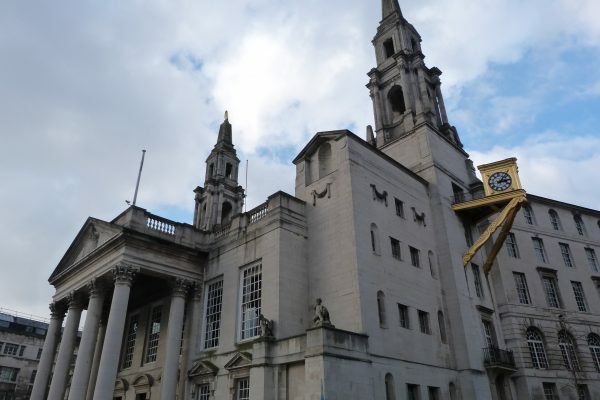 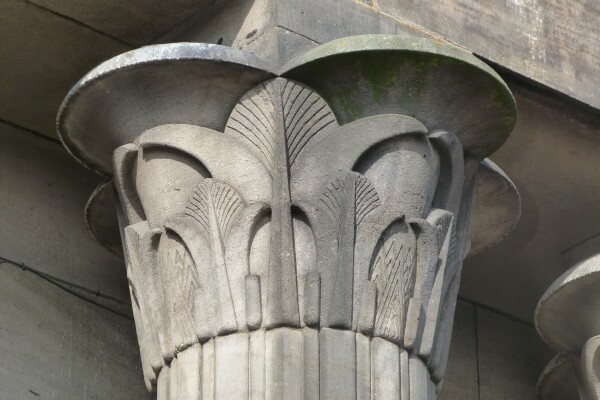 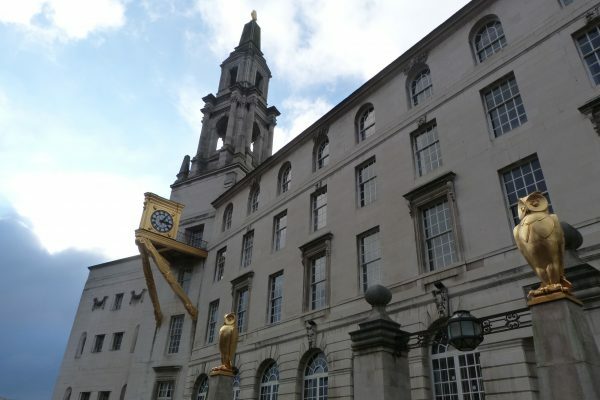 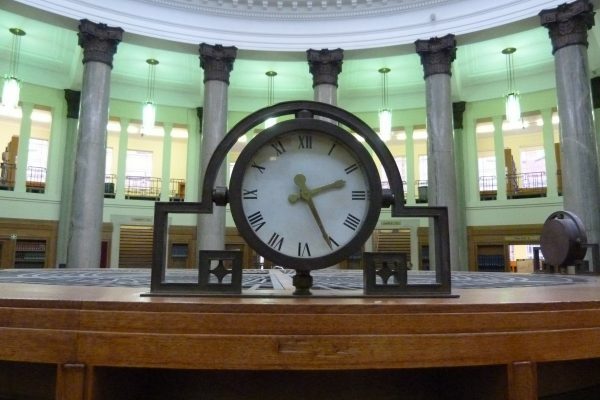 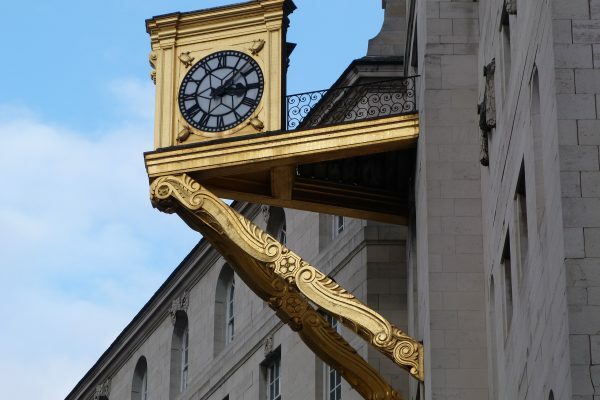 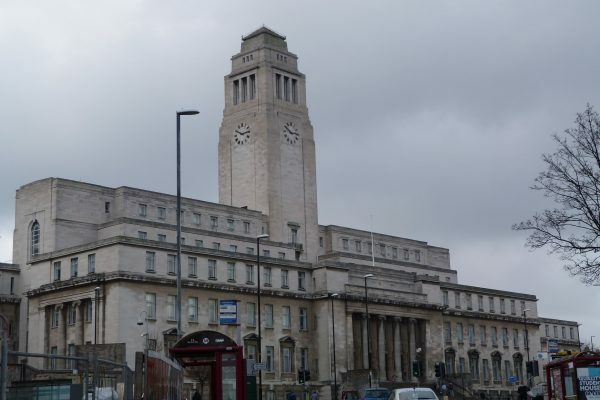 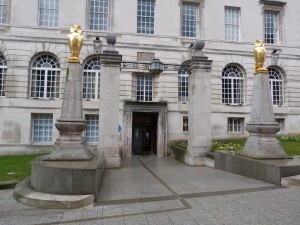 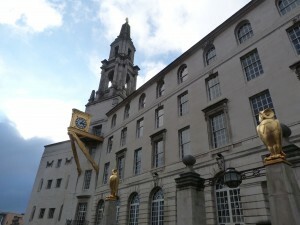 On the other side of the city is Leeds Civic Hall with its dazzling golden owls, a late Art Deco building designed by Vincent Harris dating from 1931-3. 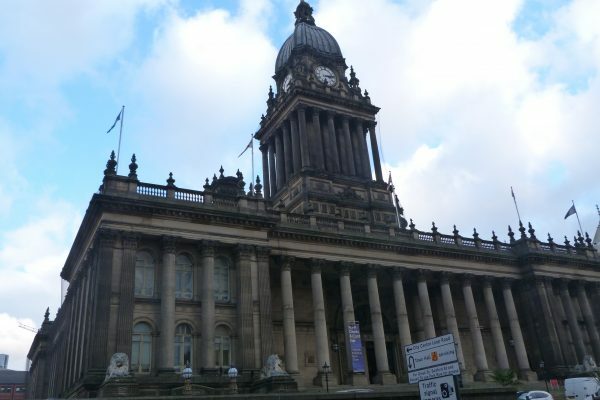 Dominating the Headrow is the imposing Leeds Town Hall, another highly ornate Victorian building designed by Cuthbert Brodrick, built between 1853-8. 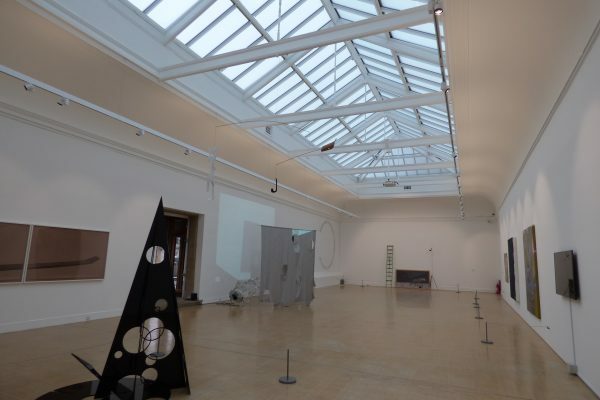 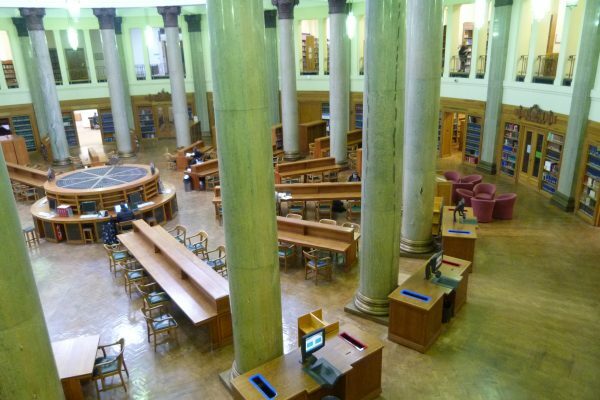 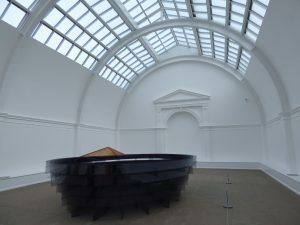 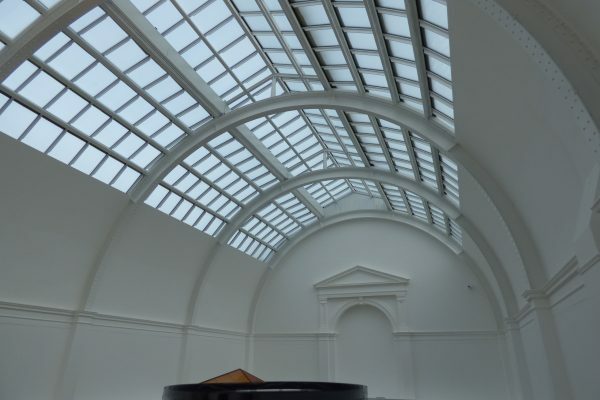 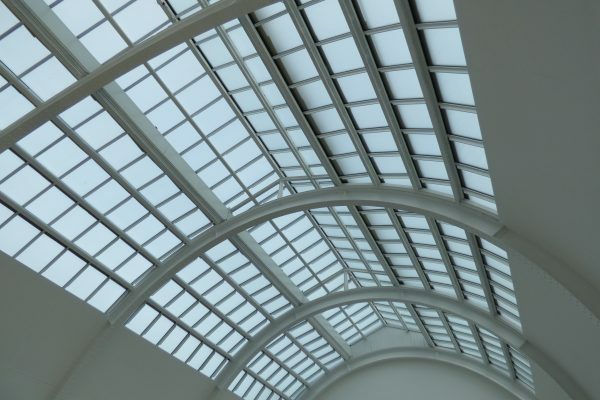 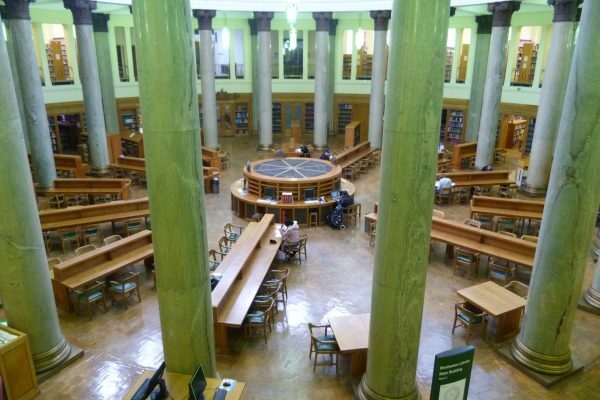 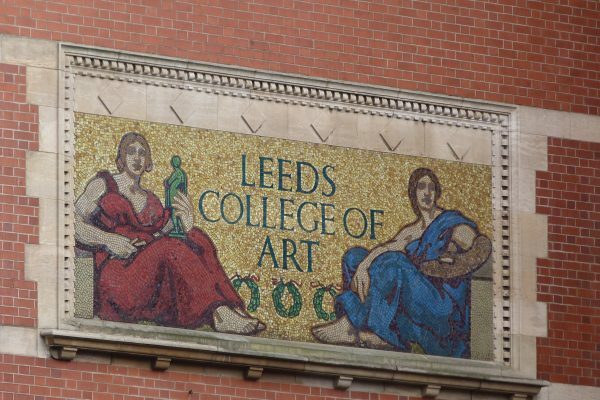 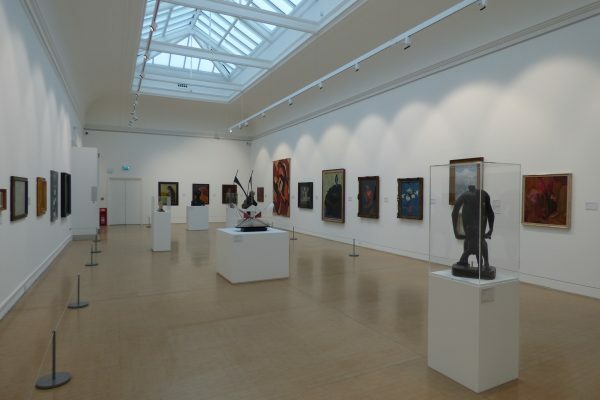 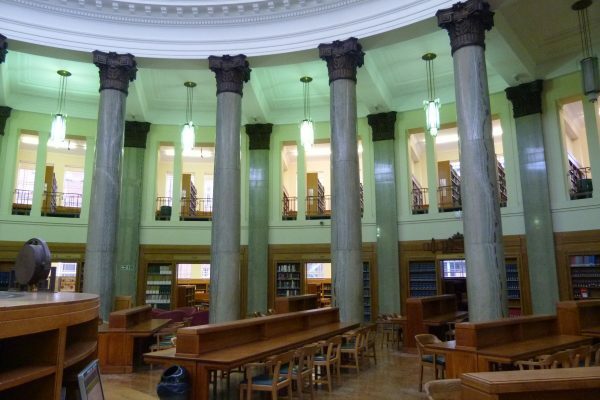 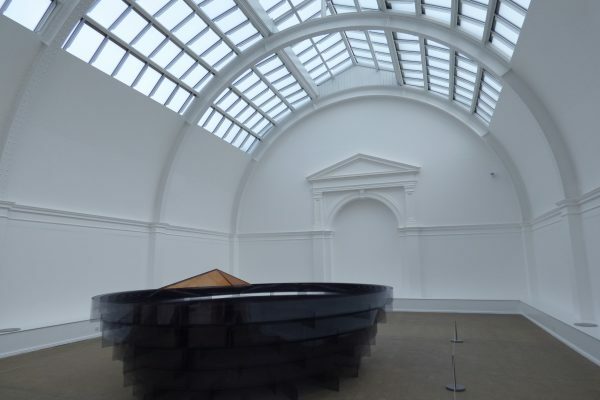 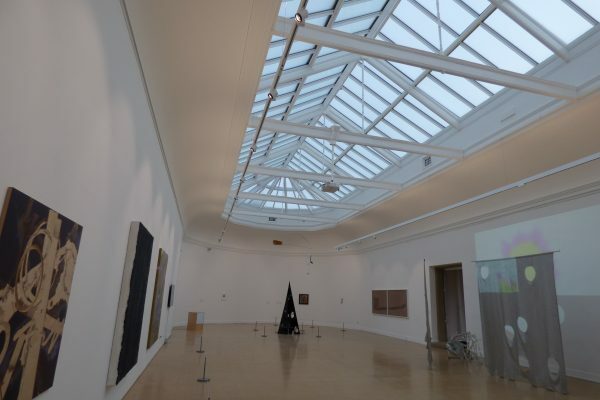 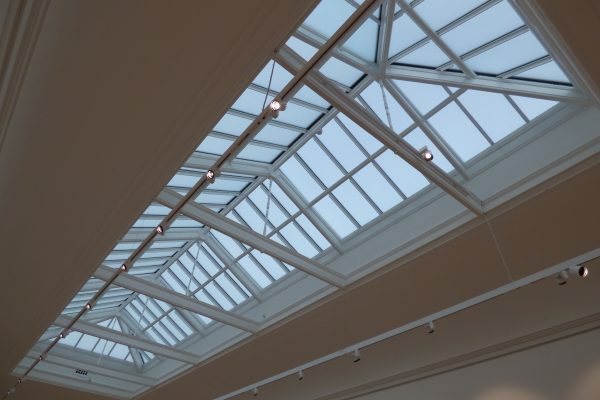 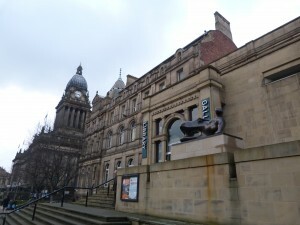 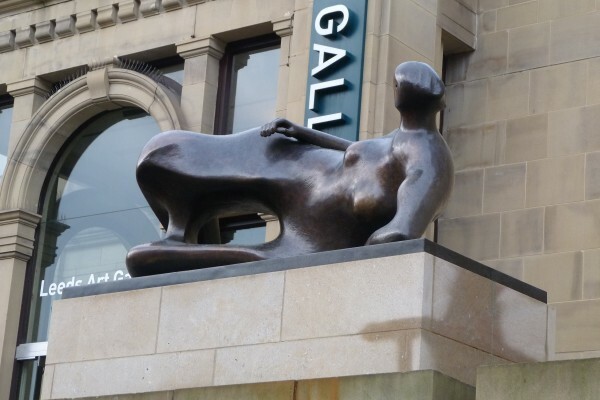 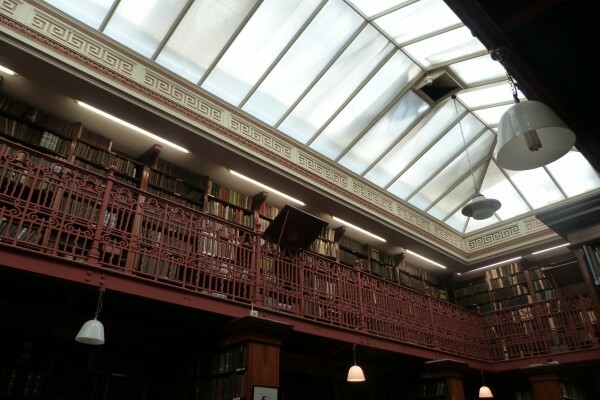 Next door is Leeds Art Gallery, whose newly-restored top-lit galleries provide a stunning setting for its excellent collection of 20th century paintings and sculpture. 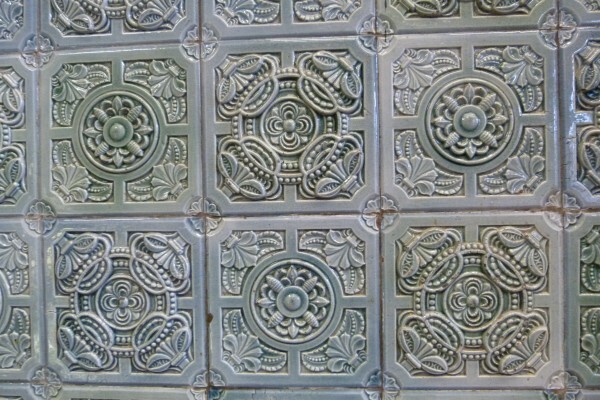 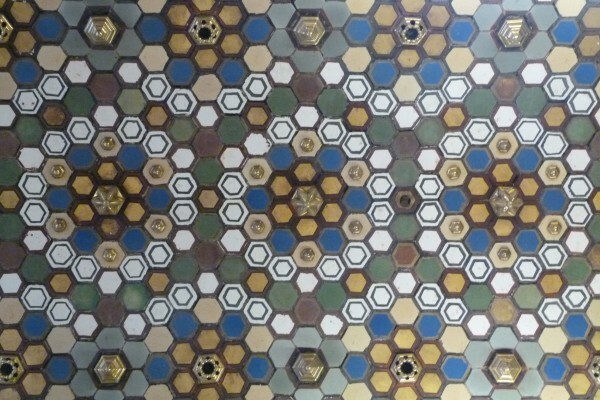 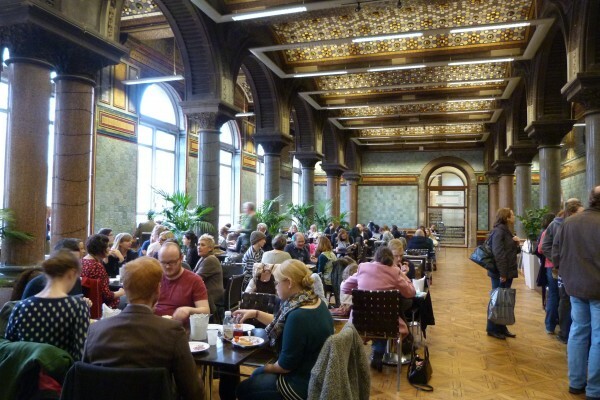 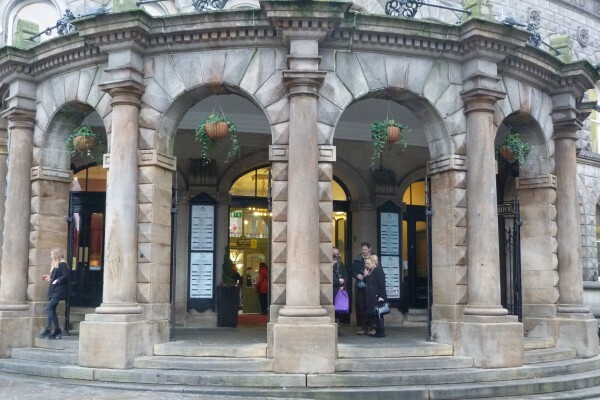 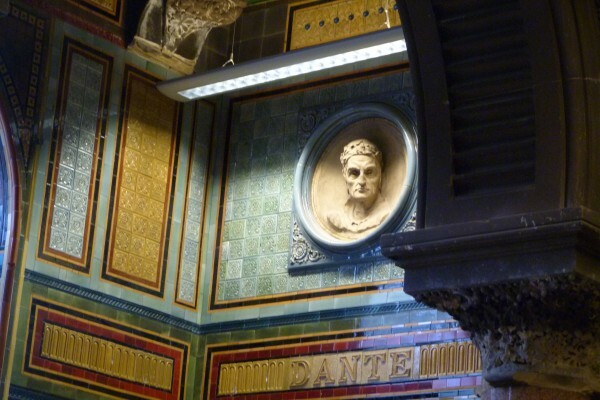 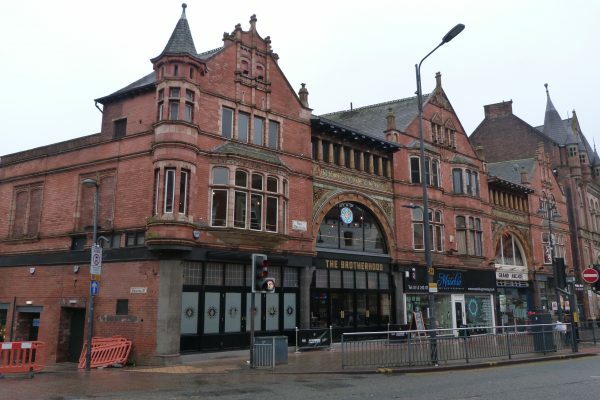 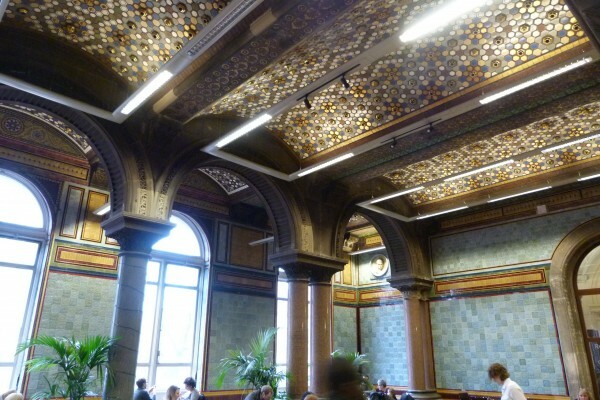 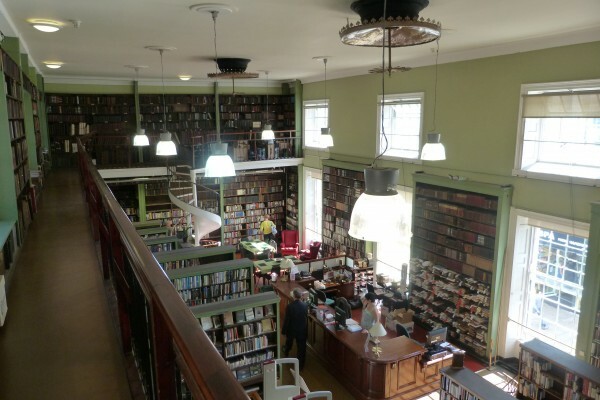 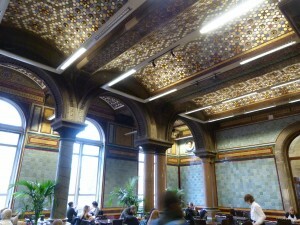 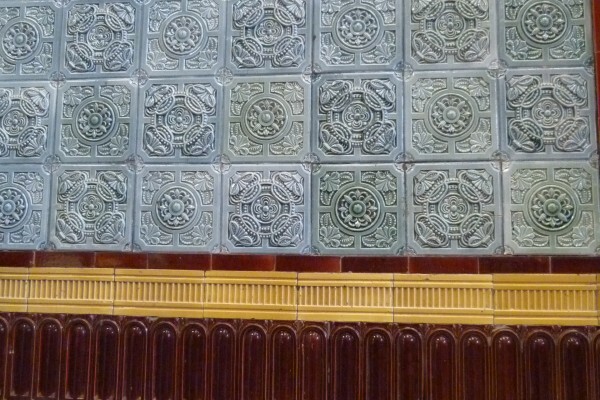 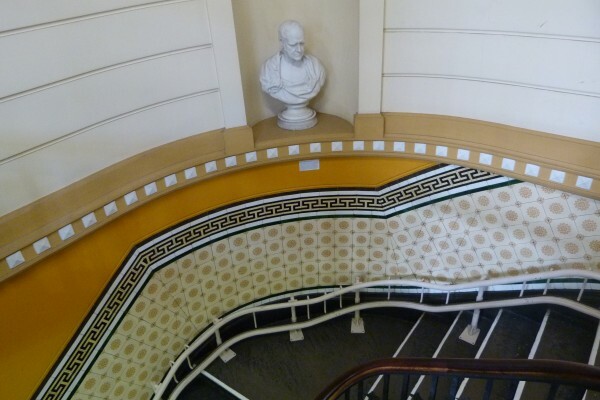 The Art Gallery’s fabulous Victorian tiled café is not to be missed. 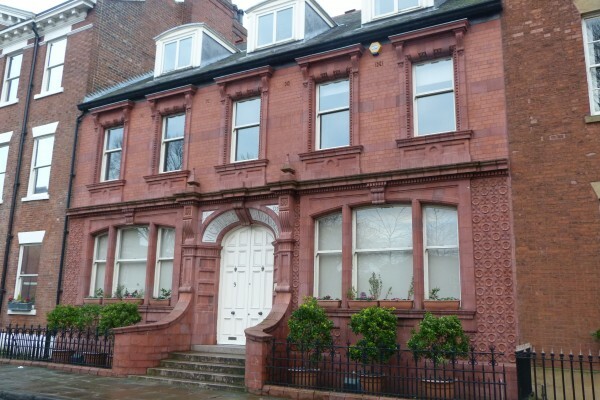 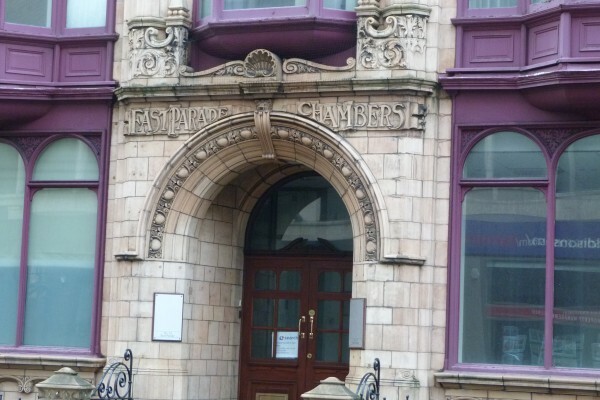 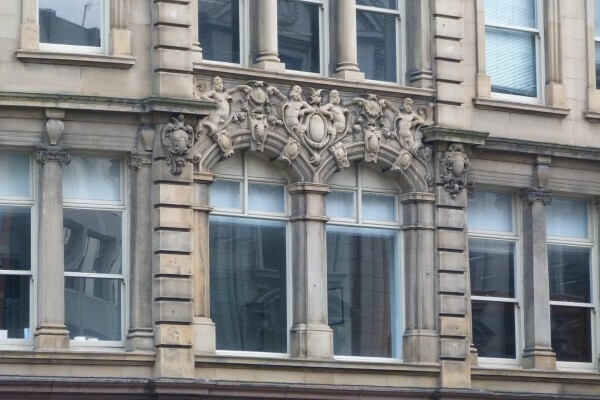 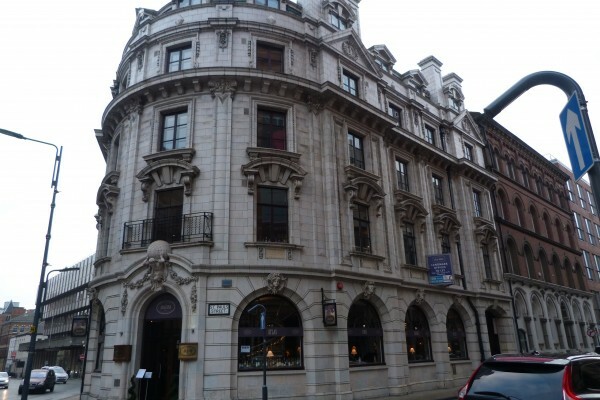 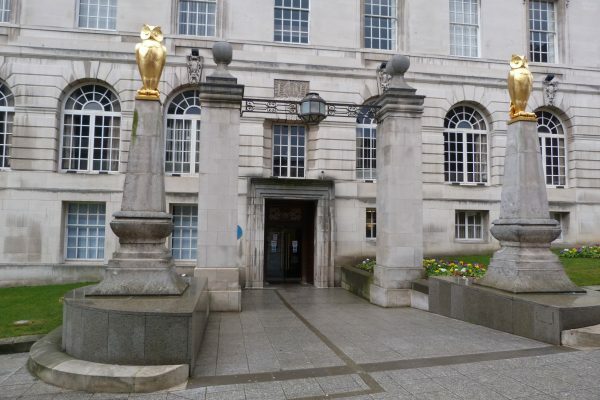 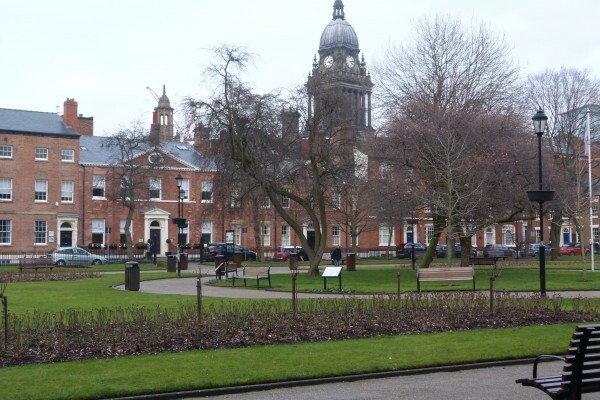 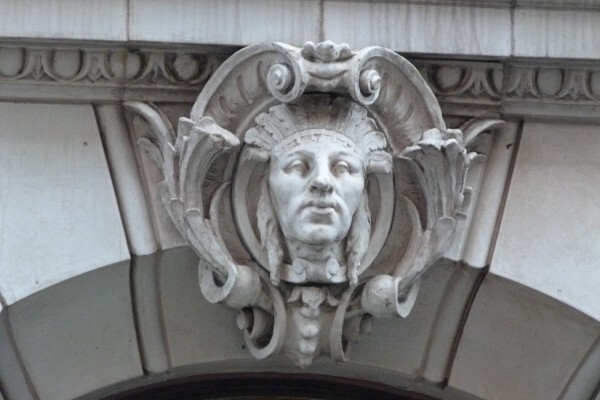 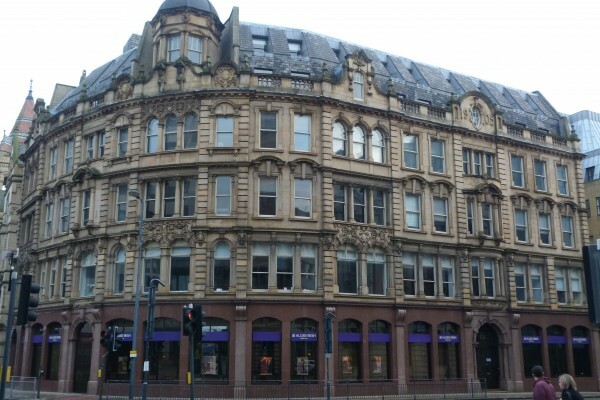 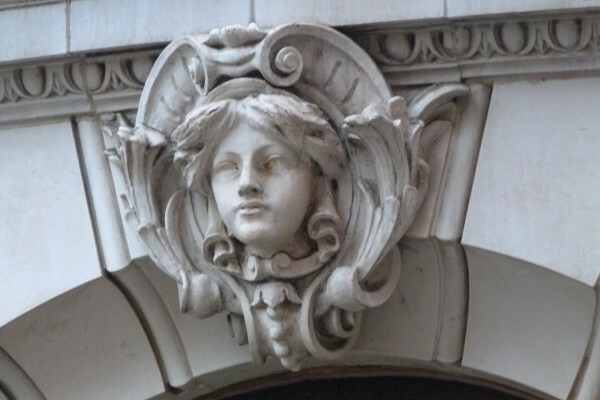 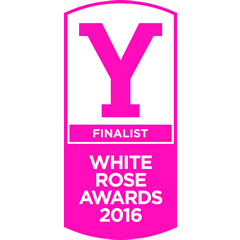 On the other side of the Headrow in the elegant setting of Park Square is St Paul’s House. 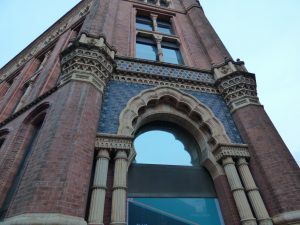 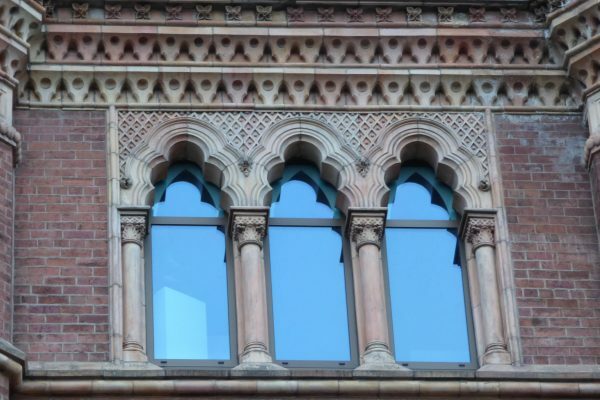 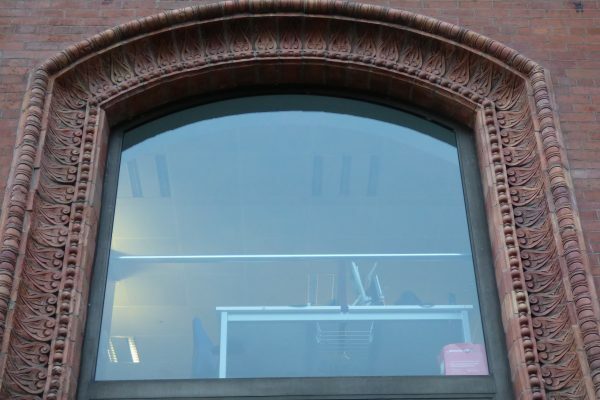 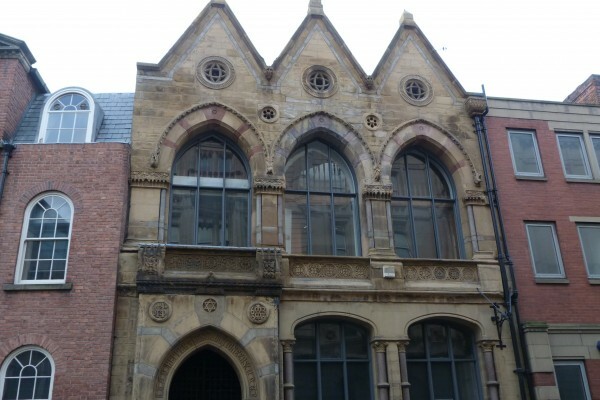 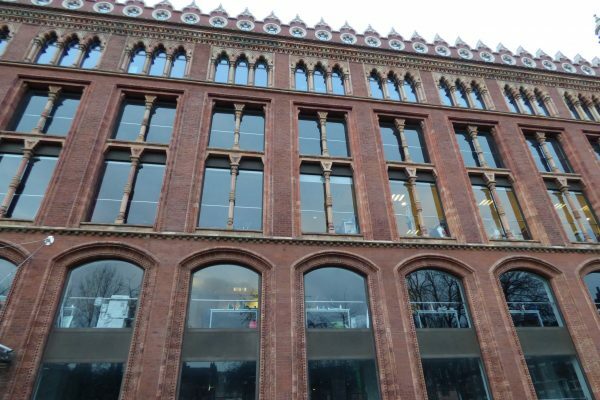 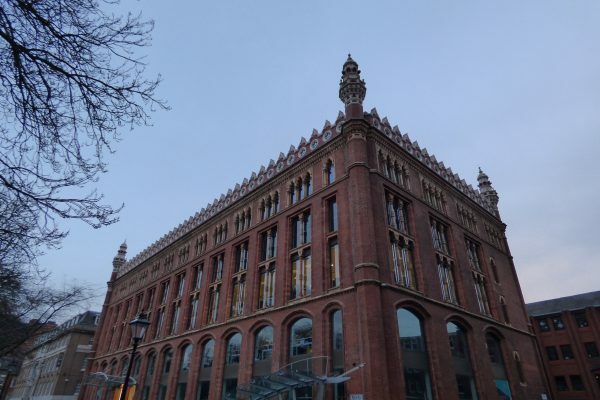 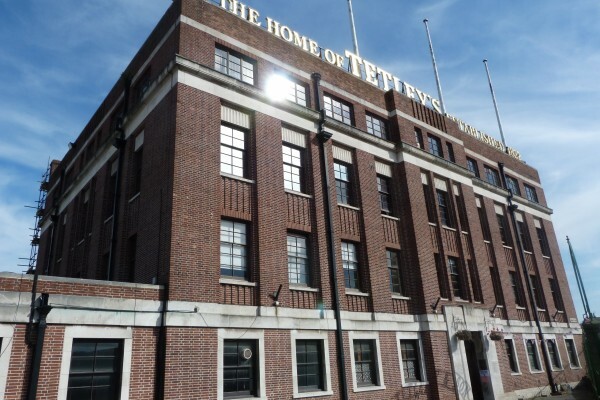 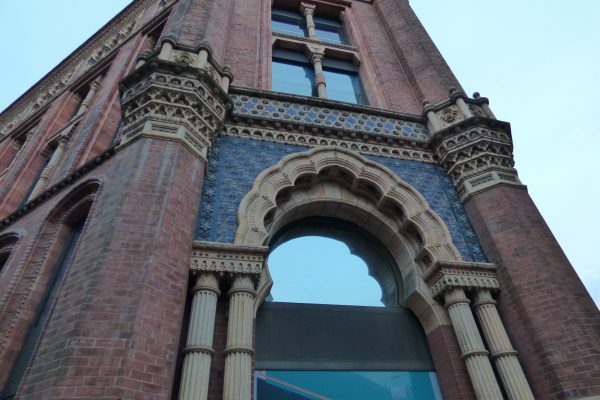 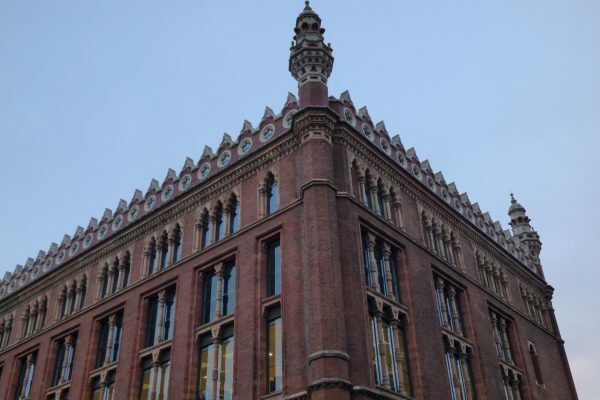 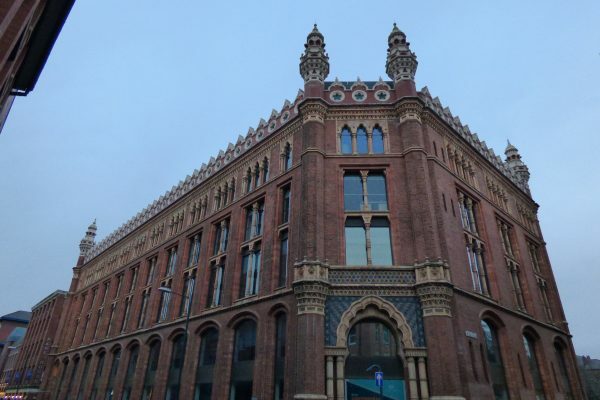 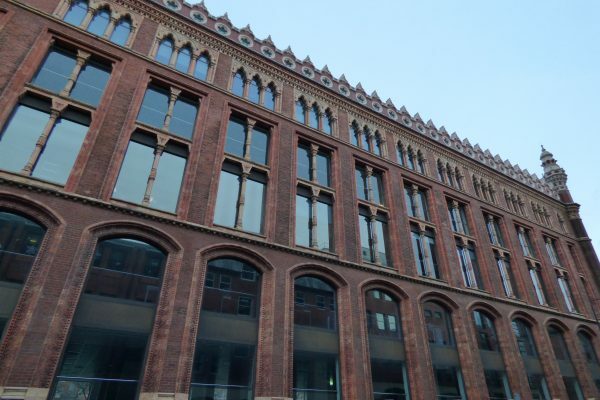 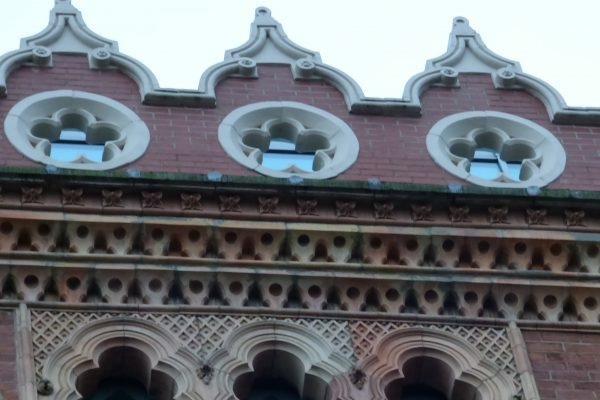 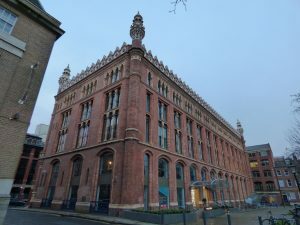 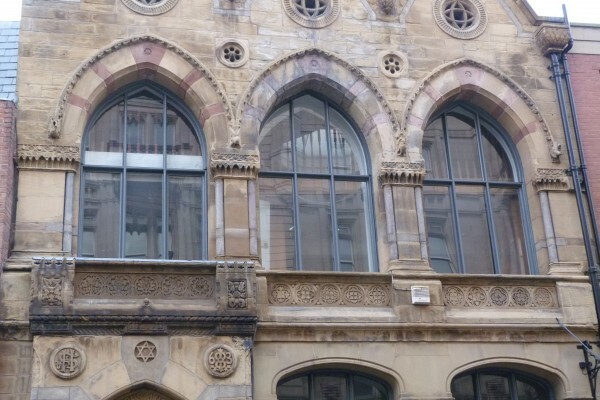 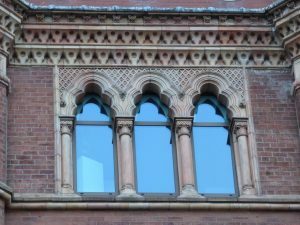 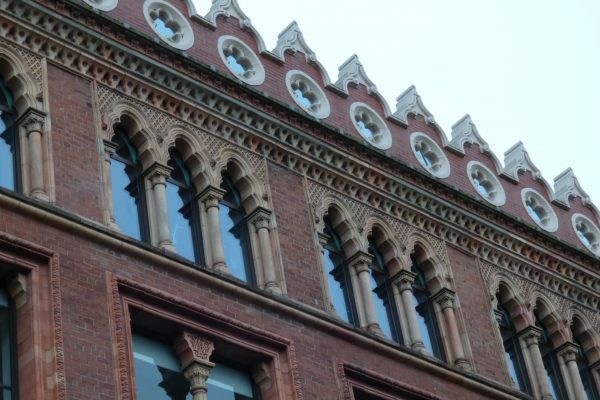 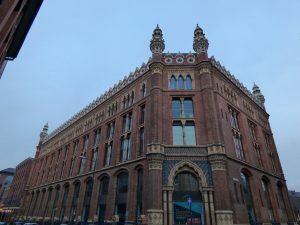 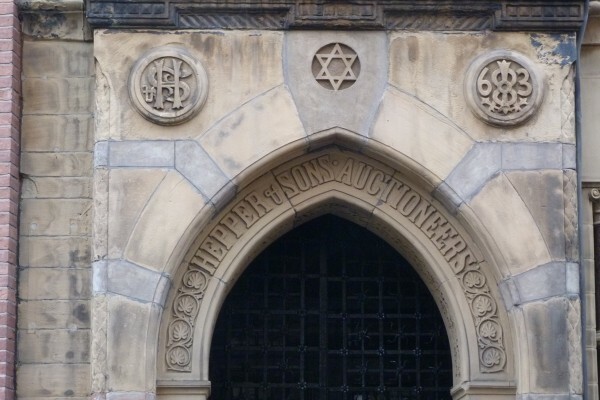 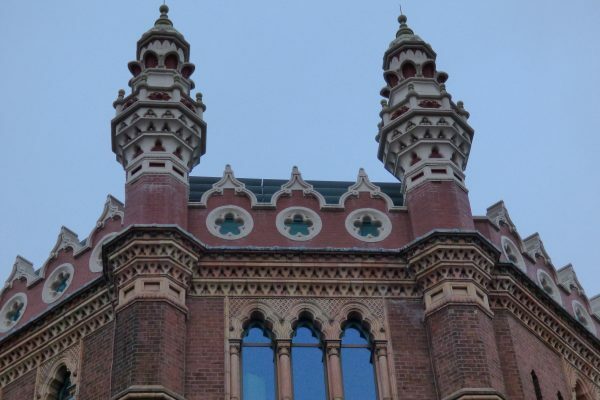 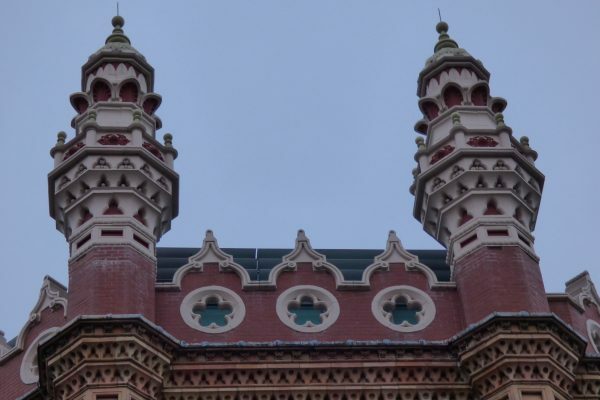 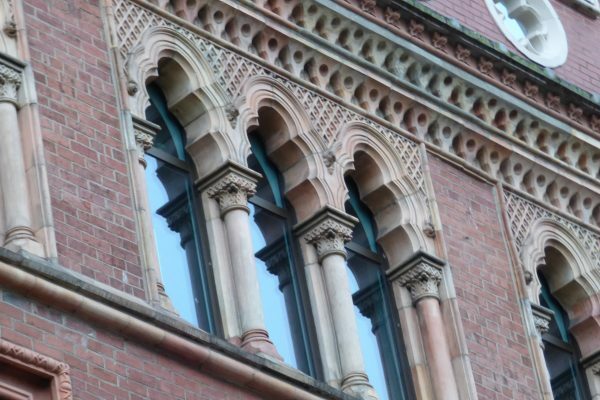 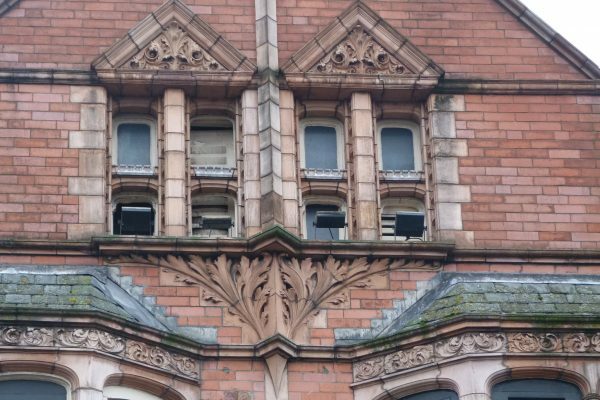 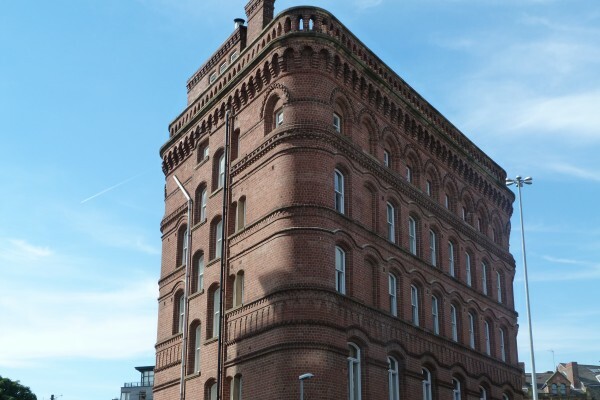 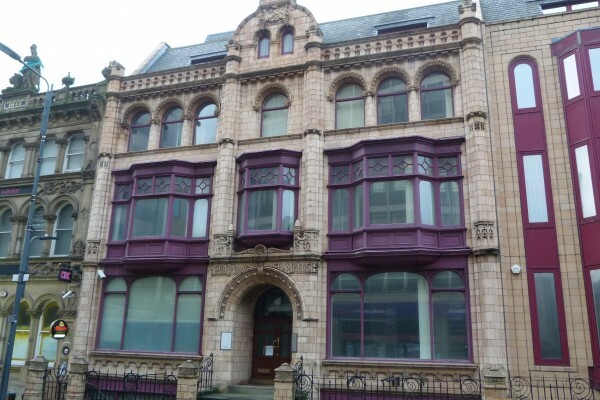 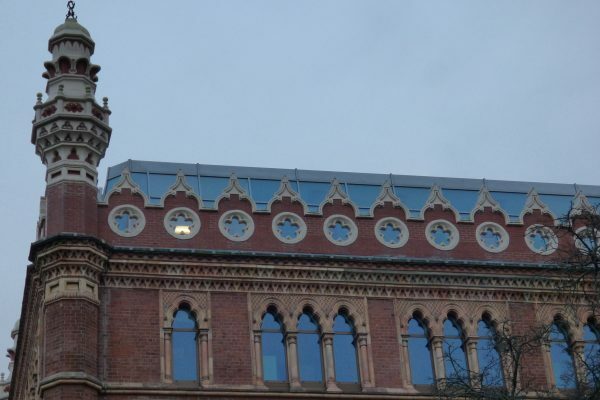 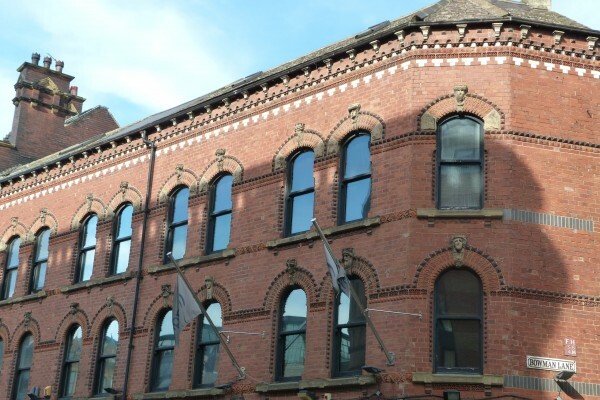 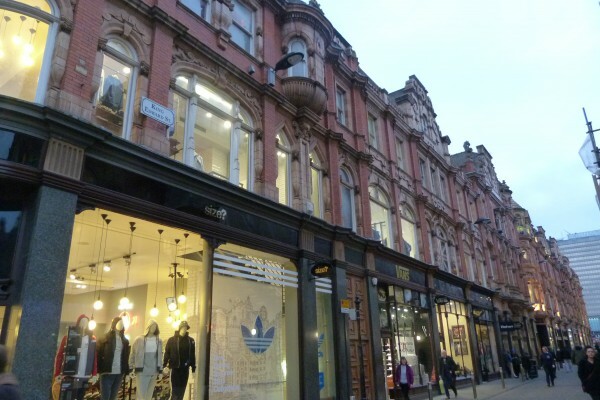 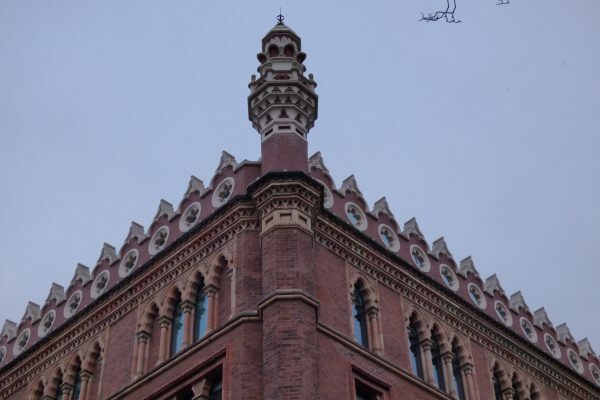 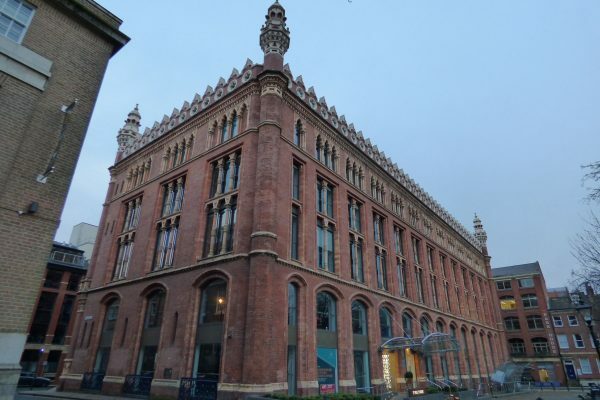 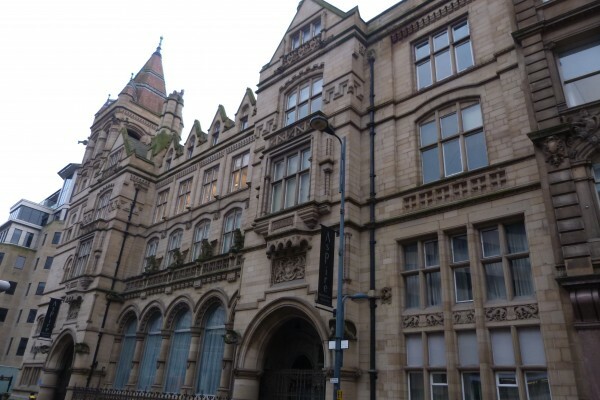 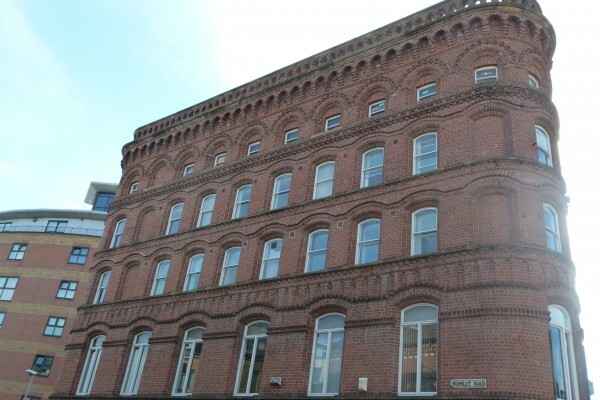 A Victorian warehouse and cloth cutting works designed in the Moorish-Venetian style by Thomas Ambler in 1878, this extraordinary building is another of the architectural gems of Leeds. 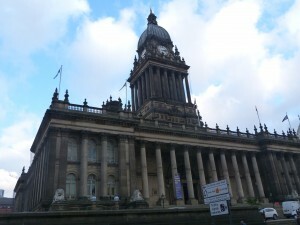 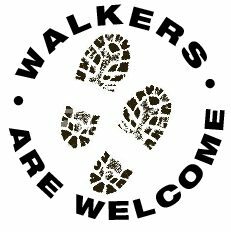 Just 30 miles from Elmet Farmhouse, Leeds is easily reached by train from Hebden Bridge and makes an excellent day out.